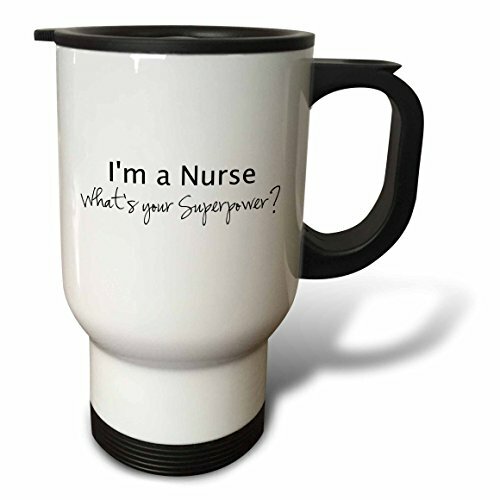 I'm a nurse - What's your superpower - funny medical profession gift travel mug is a great way to take your favorite hot or cold drink along. With a tapered bottom this stylish 14oz mug fits in a standard cup holder and features an easy-grip handle with thumb rest, slide opening lid and slanted drinking surface. This travel mug is made of stainless steel. Not microwave safe, hand washing is recommended.